By now it’s no secret that I’m a huge fan of Electric Tiki’s maquettes. This is the third one I was inspired to recreate in 3d. 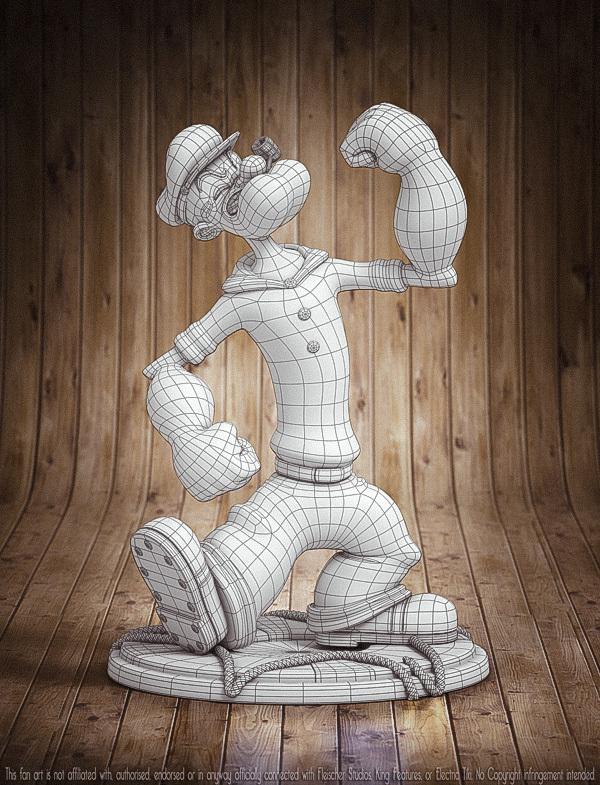 The way they capture a traditionally 2d character in 3d is remarkable, and I find recreating them in 3d is a great way of understanding the process of translating recognizable 2d shapes, into workable 3d forms. 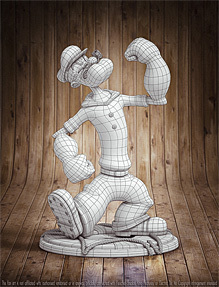 Towards the end of 2012, I started a new modeling challenge, Popeye. Again, this was purely a personal project done in my down time. I wanted to push the realism of this one much further than my previous attempts. After all, what good is a learning exercise if you don’t raise the bar? My focus was on achieving a level of richness in the surface details, to make it feel more tangible. I’m very happy with the results and an even bigger fan of Electric Tiki than I was before. 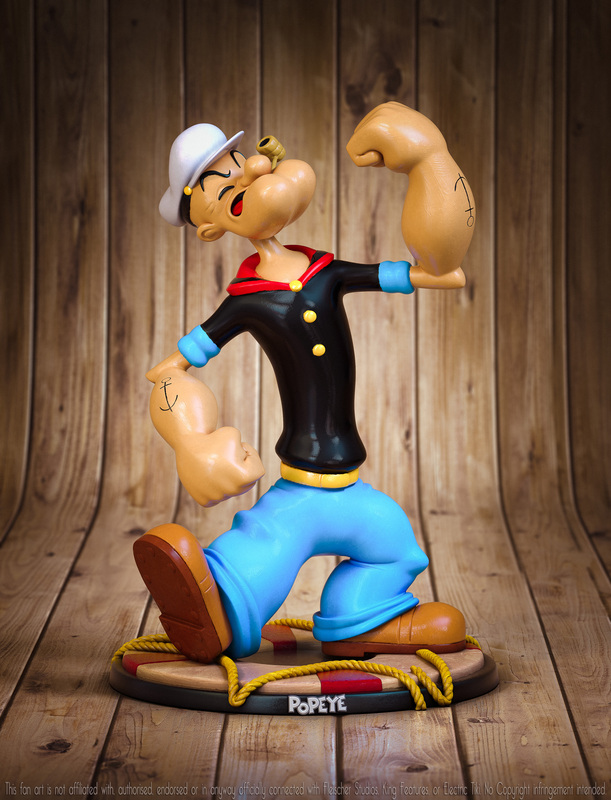 This fan art is not affiliated with, authorized, endorsed or in any way officially connected with the Fleischer Studios, King Features, or Electric Tiki. No copyright infringement intended. I decided, after the success of the Roller Coaster Rabbit project, to follow it up with the “Trail Mix Up” maquette that Electric Tiki also did. One last “hurrah” with Jessica. I only ended up reusing her head from the previous project, and even that required tweaking, so I practically started this from scratch, once again using reference photos. There were no side views of the real maquette to be found, so getting her pose right was quite tricky. It’s as close as it’ll ever get to the real thing, so I’m happy to call it finished. This fan art is not affiliated with, authorised, endorsed or in anyway officially connected with the Walt Disney Company, Disney Enterprises, or Electric Tiki. No Copyright infringement intended. Every animator eventually has a go at making a pin-up. It’s a rite of passage, as much as it is an excuse to surround yourself with references of buxom beauties and call it “work”. I first discovered Electric Tiki in 2009. These guys have inadvertently held my spare time ransom for years now. They create mini maquettes of much loved characters from my youth, and do a fantastic job at that. 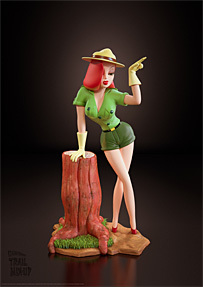 Amongst their lineup, is the most iconic pin-up of all; Jessica Rabbit. A few reference photos of the physical “Roller Coaster Rabbit” maquette, designed by Tracy Mark Lee, and sculpted by Raffaelo Vecchione, were used as my guide during the modeling process. It was the first of 3 modeling exercises using Electric Tiki’s maquettes. This fan art is not affiliated with, authorized, endorsed or in any way officially connected with the Walt Disney Company, Disney Enterprises, or Electric Tiki. No copyright infringement intended. 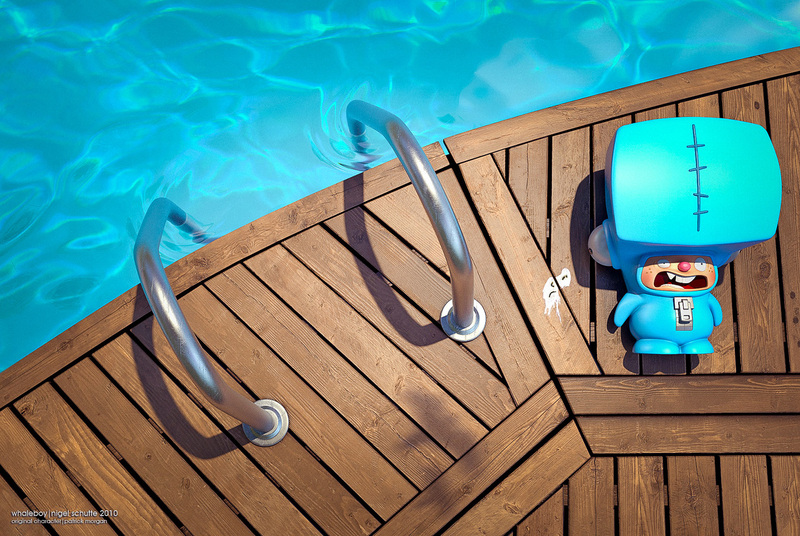 Whaleboy; the brainchild of Patrick Morgan, Ed Acosta, and Taesoo Kim. 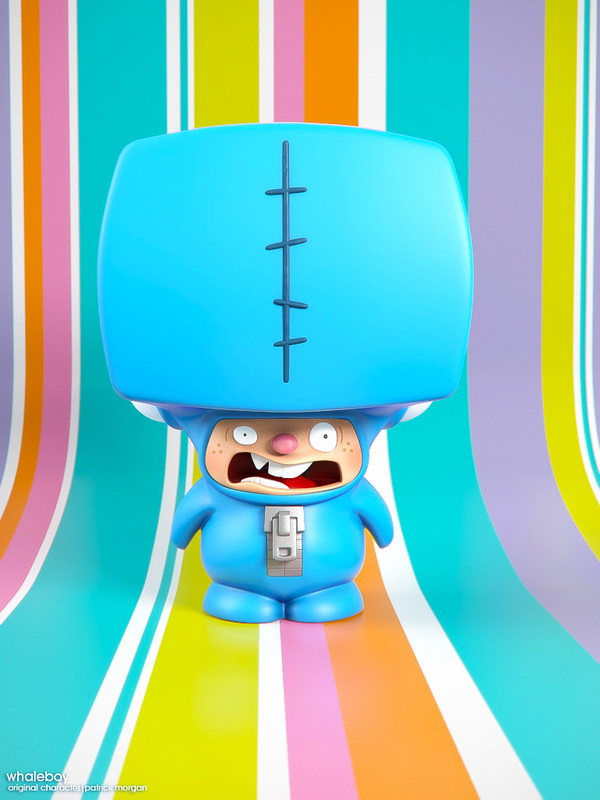 He exists in the real world as a 6 inch vinyl toy, complete with 4 interchangeable faces. He’s a character so unique and goofy, that I felt compelled to try and recreate him in 3d, just for fun. It was a spare time project that was eventually forgotten after years of procrastination. 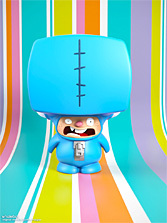 I completed the model in 2010, as well as one of his additional faces, and did some renders. His scream face just suited an idea I’d been tossing about in my head for a few days. The gag was simple, Whaleboy, flat on his back, fallen over, or left outside, helplessly screaming up at the blue sky, as birds used him for target practice. 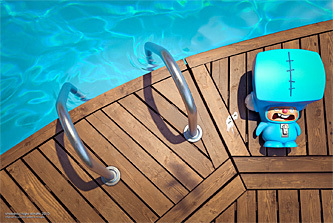 This fan art is not affiliated with, authorized, endorsed or in any way officially connected with the creators of Whaleboy. No copyright infringement intended.